Product prices and availability are accurate as of 2019-03-21 18:46:37 EDT and are subject to change. Any price and availability information displayed on http://www.amazon.com/ at the time of purchase will apply to the purchase of this product. Produces large, wide, white kernels on 8-9" long ears. Grows on a wide variety of soils with very tight husks to help keep out corn worms. 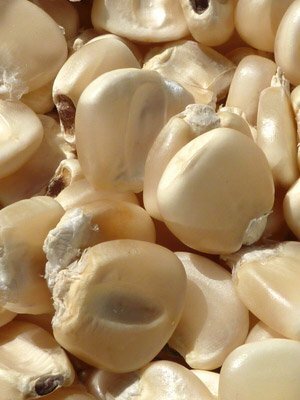 Each plant can easily average a pound of dry kernels. One of the best varieties for hominy because the skin slips off so easy.